Save $16.99! Only $59.99 DELIVERED! 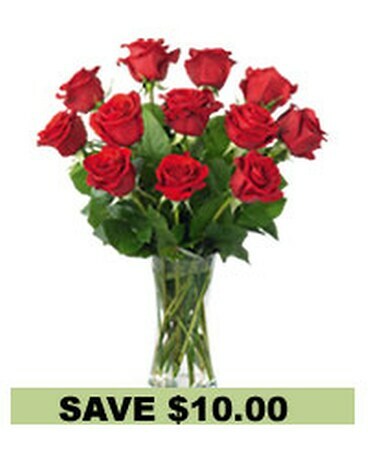 A traditional presentation, this classic dozen long stem red rose bouquet is the perfect gift any day. Your roses arrive wrapped with greens and ready for the recipient to arrange in their own special way in the included classic glass vase. Vase may vary according to availability.